The key factor in immigration policy is choosing the right number of authorized immigrants for future years. To choose a lower number does not imply anything negative about the immigrants who already are legally in this country. We're talking about the future number that is best for both U.S.-born and foreign-born citizens. Based in Washington D.C. and Arlington, Virginia, NumbersUSA Action is the nation's largest grassroots immigration-reduction organization with more than eight million participants in all 435 congressional districts. Members act to persuade public officials to support immigration policies that protect all Americans—especially the most vulnerable and including the foreign-born—from losing wages, individual freedoms, quality of life, and access to nature due to excessive immigration numbers that indiscriminately enlarge the U.S. population, the laborforce and government costs. In December of 1996, www.NumbersUSA.com began promoting the immigration recommendations of two distinguished commissions. Economic fairness to vulnerable Americans was a key concern of the bi-partisan, congressional/presidential U.S. Commission on Immigration Reform. 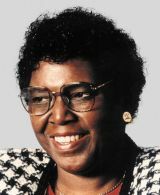 It was chaired by civil-rights icon Barbara Jordan in the last act of a rich career of public service. It urged that annual legal immigration numbers be cut to around a half-million, compared to current totals of more than one million a year. And it called for policy changes—especially mandatory workplace verification—to eliminate most illegal immigration. A high quality of life and environment for future generations was the concern of President Clinton's Task Force on Population and Consumption which suggested even deeper cuts in annual immigration admissions. Armed with Census Bureau projections that immigration policies were set to add hundreds of millions to the U.S. population over the next century, the Task Force concluded that the country's environmental goals could not be met without reducing immigration to a level that would allow for a stabilizing U.S. population. NumbersUSA mirrors the pro-immigrant attitude of the commissions that immigrants who are given permanent residency should be allowed to integrate fully into all aspects of our society. We oppose nativism in the law and private actions; Americans should be treated equally regardless of where they were born. Neither race nor ethnicity should be factors in setting or debating immigration policies. The nuclear family of spouse and minor children, including overseas adoptions and marriages by U.S. citizens. Our fair share of internationally recognized special needs refugees with no long-term prospects of returning home or settling in their native regions. Immigrants with truly extraordinary skills in the national interest. Mandate electronic verification systems that would effectively deny jobs and taxpayer-provided benefits to foreign citizens who are visitors or who are illegally present. Fully implement computerized entry/exit systems that track when visitors have violated their visas. Join most nations of the world in eliminating birthright citizenship for births to both legal and illegal visitors. Founded & Led By Roy Beck, the President. The non-profit operation of three dozen employees and contracted specialists is managed by a team of professionals with nearly a century of experience with immigration issues. Roy was a veteran journalist, author of four public policy books and national lecturer when his wife agreed to a second mortgage on their home to start NumbersUSA.com in 1996. A graduate of the University of Missouri School of Journalism, Roy's newspaper career included reporting from more than 30 states and a dozen countries, with numerous awards for coverage of non-government humanitarian efforts, of environmental, development and population issues, of business, and of religion, ethics and public policy. The federal "Barbara Jordan Commission" on immigration had invited him in 1995 to meet on the basis of his Atlantic Monthly reporting which was chosen by the Encyclopedia Britannica as one of the most important contributions of American writing in the 1990s. A recipient of the U.S. Army Commendation Medal (non-combat) in 1972, he has been married to a pediatric physical therapist since 1970, has two married sons and has devoted much personal time for three decades to projects assisting various minority, immigrant and poor communities through Habitat for Humanity, churches and leading teens in summer work weeks. Nearly all funding for NumbersUSA Action comes from individuals giving $10, $25 and $100 donations over the internet. Individuals are also important supporters of NumbersUSA Education & Research Foundation which draws the majority of its funding from around a dozen foundations and family trusts with outlooks across the ideological spectrum and with keen interests in one or more of the issues noted in our mission statement. It meets all of the Better Business Bureau standards of accountability, including for independent members of a Board of Directors and for independent audits. It also earns top ratings from several other non-profit watchdog groups, such as GuideStar, Charity Navigator, Combined Federal Campaign, and Independent Charities of America. The most important factor in federal immigration policy is the numbers – the annual level of immigration. Annual immigration should be set at a level that allows the stabilization of U.S. population and long-term sustainability of the American quality of life. U.S. immigration policy should serve the national interest and prioritize the admission of spouses and minor children including adoptees, workers with extraordinary skills, and asylees and refugees. U.S. immigration policy should support American workers, especially the most vulnerable, by preventing wage suppression and unfair competition for jobs. Congress, through legislation, and the Executive branch, through enforcement policy, bear the burden of blame for—and the responsibility to correct—problems associated with current immigration policy. Immigrant bashing, xenophobia, nativism, and racism are unacceptable responses to federal immigration policy failures. Race and ethnicity should play no role in the debate and establishment of immigration policy.